There have been so many stars who have found their way into one another's arms over the years, going on to start dating, announcing to the world how they are the latest celebrity couple on the scene. However, more often than not, it seems that these relationships do not manage to last the test of time and more celebrity couples split up than stay together. Fortunately though, there are also plenty of celebrity relationships which do manage to last the test of time, with Hollywood power couple Jessica Biel and Justin Timberlake being one of the hottest couples in the world. Jessica and Justin are married with a beautiful child and the actress has now been sharing some of the secrets to their successful marriage. Biel was chatting to E! News, when she told them, "You just have to make time for date night, time for yourself alone and time with your partner. It has to be fun... My husband always says, 'We can't stop dating.' I love that because it's true. You have to continue to make the space for yourself and your partner to just have fun like you did before you had kids. And not talk about them! Keep it fresh, keep it exciting. Spontaneous if at all possible." It is always nice to see such a beautiful couple in the entertainment industry so happy together. 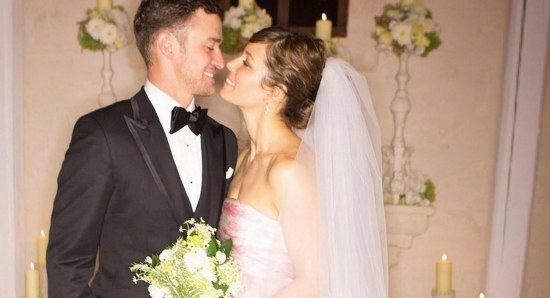 We wish Justin Timberlake and Jessica Biel many more years of happy marriage and, just maybe, a few more children in the future.